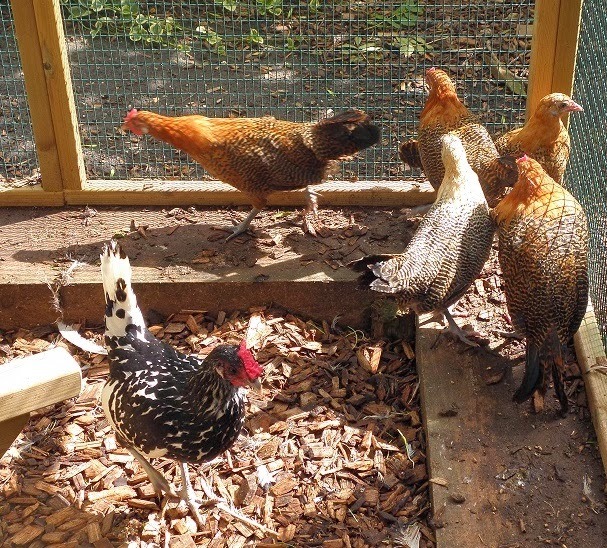 Flyte So Fancy: Poultry Predators - How to Keep the Fox from the Chickens! Poultry Predators - How to Keep the Fox from the Chickens! Last Thursday our resident chicken whisper Rob, gave us the news that he had noticed two foxes "hugging" in the next field over. It was immediately decided that our stalwart anti-fox defences should be given a going over to make sure nothing had been damaged in the recent bad weather. Seeing foxes in broad daylight is getting more and more common in both cities and (if like us you are lucky enough to live in the middle of the nowhere) the countryside, which can mean that this primary predator of poultry might be knocking on your chicken coop door soon. So as we move into February, usually when cubbing season starts and their are mouths to feed, now is the perfect time to check your own poultry pen protection to make sure that your girls will be safe from cunning Monsieur Reynard. All of Flyte so Fancy's Chicken Coops are made from solid Scandinavian Redwood timber and the runs and pens are built from sturdy framing and we only use inch by half inch 18 gauge weldmesh that cannot be gnawed through there by keeping your chickens safe. Be sure to check out our poultry predators page for useful information on how to keep your hens safe. Chicken Whisperer Rob, with myself in tow once again to get useful tips on how stop Mr Fox from getting into your hen run, went to survey the defences starting with the Aviary 8 home to our Gold Sebright's. The Gold Sebright's home is protected by a sleeper pack that the house itself sits on. Foxes are excellent diggers but they will always dig as close to a fence as possible. If they cannot get through they will move up and down the run trying again. They do not step back and dig longer tunnels, despite their reputation for slyness, and will often give up and go in search of an easier dinner. The sleepers provide a solid barrier that the fox cannot get through. 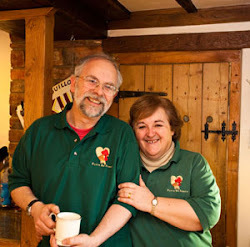 So, confident that the Sebright's were safe and having given the whole chicken coop a thorough check, we moved on. On our way down the drive Rob (filled with sage advise) reminded me of the tell tale signs of a fox in your garden. Firstly, fox faeces is fairly easy to identify, a couple of inches in length it is ribbon like and black in colour. The second is digging in your garden, especially around your chicken run or your compost heap. Our next stop was our family of Silver Spangled Hamburgs, who live in a Long Legged Maggie's Six joined onto a 9 x 9 Poultry Protection Pen . Foxes are poor jumpers but fantastic climbers, and have been known to scale a 6ft high fence to get into your run. They will also scale and jump from whatever is close by to get at your girls. The answer is of course a solidly built run of sturdy timber and strong weldmesh wire, importantly, with a roof. To stop a fox digging into the Silver Spangled Hamburg's we have one of our No Dig Skirts in place. This is a mesh of heavy duty wire that you put around the run and peg down securely to stop them digging in. As they cannot get though they will give up, and similar to the sleeper packs not thinking to dig a longer tunnel, will move on. We can cut No Dig Skirts to any dimensions and they really are one of the best ways to keep all manner of predators out of your chicken runs. Throwing a handful of mixed corn down for the hens we moved on down to the chicken paddock. The resident Chicken Whisper also telling me that often foxes when getting into a pen will kill all the chickens in one go, and then transport them back and forth one by one. So just because you see Mr Fox running in the opposite direction doesn't mean he hasn't already visited your coop. Our chicken paddock is a large area, with four chicken coops inside, a pond and around fifty chickens, ducks, guinea fowl and geese. This is our largest area and we have an electric fence set up to protect the birds inside. Not everyone likes using electric fencing but it is a brilliant deterrent for foxes. When the fox touches his nose against the net or wire he gets a nasty shock that will quickly send him slinking away. It should be noted though that Mr Fox will only get a shock if his feet are also touching the ground or if an earthing wire is also built into the set up. Confident and happy that the feathered members of the Flyte so Fancy family will continue to remain safe from Mr Fox, and that our standard protection and defences were all in a strong and working order, we finished our inspection and headed back up to the office. If you have any questions, want more information or have your own way of deterring foxes, leave a comment or give us a ring on 01300 345229. 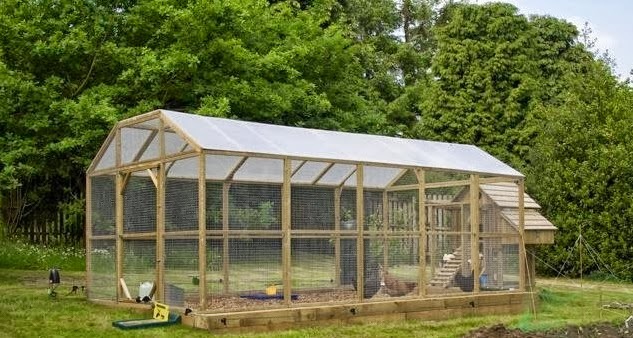 What is the Best Bedding for Chickens? The Rain it Raineth Everyday!